Parents affected by addiction can enable their children’s substance abuse and even model addictive behaviors learned from their own parents, passing the cycle on from generation to generation. Learn what you can do to help yourself, your children, and future generations break the cycle of addiction and addictive behaviors. 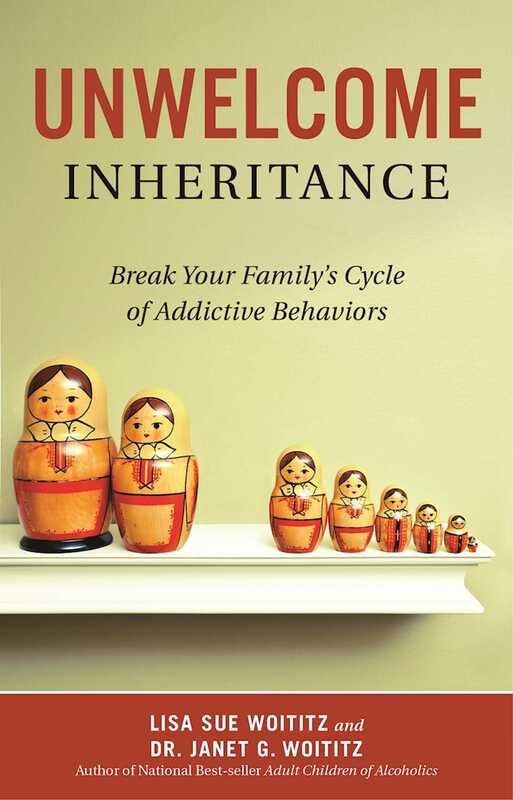 In Unwelcome Inheritance, Lisa Sue Woititz combines her own insights with the unpublished contributions of her late mother, the early leader in the Adult Children of Alcoholics (ACOA) movement, Dr. Janet Woititz, uncovering how multiple generations of people affected by addiction continue to enable their children’s substance abuse and how, without realizing it, they continue to model the addictive behaviors learned from their own parents. These ACOA pioneers then bring to light these hidden behavior patterns—including impulsivity, misplaced loyalty, people pleasing, insecure parenting styles, and multiple compulsive and addictive behaviors—so that you can take a clear look at how you got to this point. Additional points of inquiry, illustrated by stories from the trenches of the ACOA movement, help you explore what you can (and can’t) do to help your children, your children’s children, and yourself lead healthy, balanced lives.